Jim has strong expertise in the areas of strategic business management, team leadership, and complex contract delivery. Jim joined Downer Infrastructure in 2011. He has a passion for people and vision of a Zero Harm to people and the environment through embracing behavioural change. 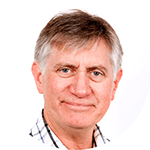 Rob Ball is a civil engineer (RPEQ) with over 35 years experience in the development industry. 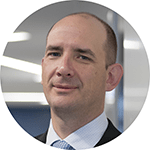 Prior to joining Lend Lease in 1999, he has worked on a variety of major residential, commercial and infrastructure projects in Australia, UK, Middle East, & South East Asia. Rob currently holds the position of Senior Development Manager within the Communities business of Lendlease, primarily on the Yarrabilba project team. This role involves the administration of infrastructure planning, sustainability and innovation initiatives, and support to the production team for current precinct design and construction processes. Over the last 20 years, Colin has worked with many dozens of companies throughout NSW and nationally in the areas of waste minimisation, industrial ecology and resource efficiency over the last 20 years. In 2013 Colin’s major focus shifted to plastics recycling based on involvement with the emerging PolyWaste technology. 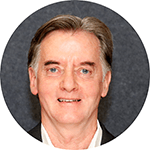 Colin is currently the Technical and Administrative Director of Newtecpoly Pty Ltd, Executive Director and CEO of PolyWaste Technologies Limited and Chair of the Australian Industrial Ecology Network (AIEN). An experienced Project Manager, Curator and Environmental Activist with a demonstrated history of working in the renewables and environment industry. Blair is a highly successful sustainability business man and encourages those around him to follow and be part of this change and growth. With clear orientation to results and making things happen, Blair’s value in sustainability is a key factor for innovation and company growth at 96 Bangalow. Blair’s mission is to create a diverse facility that will set a precedent for regenerative design, ecological values and sustainable economies whilst supplying the community with high quality products, services, employment and education. 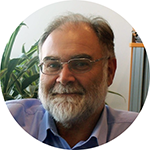 Michael Burke is the Director of DSDMIP’s Biofutures Sectoral Team where he is responsible for delivering the $20 million Queensland Biofutures 10-Year Roadmap and Action Plan and the successful deployment of its programs. These include the $5 million Biofutures Industry Development Fund; the $4 million Biofutures Acceleration Program; and the $4 million Biofutures Commercialisation Program. He is also overseeing the implementation of two new resource recovery funding programs aimed at diverting and reprocessing waste in Queensland: the $100 million Resource Recovery Industry Development Program and the $5 million Waste to Bioenergy Fund. Michael has previously held senior policy and industry development roles within the Department of Agriculture and Fisheries for the intensive animal and broad acre cropping industries. His background is in aquatic animal husbandry where he spent 15 years in a research capacity at the Bribie Island Aquaculture Research Centre. Michael has a Master of Aquaculture and post-graduate degree in aquatic animal health. 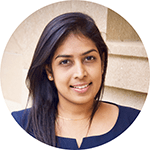 Dr Savindi Caldera is a Research Fellow at the Cities, Research Institute, Griffith University, Brisbane, Australia. Savindi completed her PhD on lean and green manufacturing at Queensland University of Technology, Australia in May 2018. She has been working with colleagues to build capacity for lean and green thinking, resource efficiency and sustainable business practice, to foster a resilient natural and built environments. Her research focuses on developing pragmatic approaches to increase SMEs’ contribution towards sustainable development. She has industrial experience as a sustainability specialist in the manufacturing industry in Australia and overseas. After graduating from the University of Queensland with a Bachelor of Commerce, Tony commenced his working life as an auditor with Deloitte. He then spent 10 years working for a listed company, first as CFO and later as company secretary. 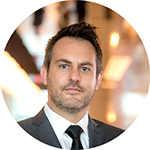 After consulting on some significant whole-of-Government initiatives, in 2009 Tony joined the client advisory team at Queensland Treasury Corporation (QTC). QTC, best known as the borrowing arm of the State government, has 90 people providing advisory services to its clients: government departments, government businesses and local governments. 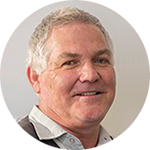 Tony first started working with the Department of Environment and Science on waste and resource recovery in mid-2017. 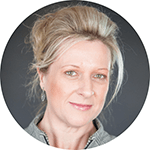 Brooke Donnelly is a senior strategic and commercial executive specialising in product stewardship, recycling and sustainability. She has proven strengths in leading the successful operational and commercial implementation of best practice national product stewardship and recycling programs for industry, government and consumers. 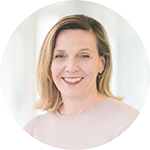 In her current role of CEO at the Australian Packaging Covenant Organisation (APCO) Brooke develops and leads APCO’s strategic direction and vision. Brooke is the co-founder and facilitator of the Product Stewardship Cluster (PSC), an organisation working to accelerate Australia’s journey to a circular economy through product stewardship. Brooke has worked in alignment with a broad range of regulatory authorities, industry groups and product stewardship organisations. She has held senior leadership titles including Chief Operating Officer for Greenpeace Australia Pacific, NSW Sustainability Manager for Visy Industrial Packaging and CEO at Catalyst Development Group. Previously, Brooke spent her formative years managing her third-generation recycling of industrial packaging family business. 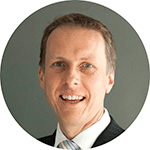 Paul Francis is a Director at KPMG and leads the Smart Cities service line within Australia. Paul works with clients to tap into the $120 billion uplift in annual economic impact forecast from IoT, drawing on the Firm’s deep industry, technology, policy and analytics insights, to assist organisations to better deliver sustainable and effective solutions. Paul is actively involved in the Internet of Things community, and is a member of the IoT Council, a think tank for IoT. Paul is also active with Australian IoT and Smart City organisations, including ASCA and IoTAA, where is chair for Workstream 1. 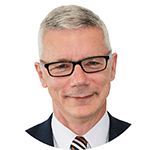 Paul has more than 20 years’ experience spanning industry and consulting across Europe, the US and Asia-Pacific. Prior to joining KPMG Paul was a Director with another Big 4 consulting firm. Before that his roles have included CTO at a global Industrial Internet organisation as well as Director for a leading Digital agency in the UK. 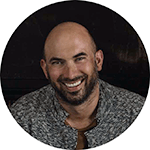 Damien Giurco is Professor of Resource Futures and Director (Innovation) at the Institute for Sustainable Futures, University of Technology Sydney. His team undertakes collaborative research with government and industry on resource stewardship in the resources and energy and sectors. He led the Wealth from Waste Cluster on advancing circular economy for metals and recently completed a best-practice review of circular economy for NSW Government. 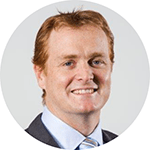 Damien serves on the NSW Container Deposit Scheme Ministerial Advisory Committee and is Editor-in-chief for the journal Resources. Matthew is a Mining Engineer with an MBA who has worked for Anglo American for 16 years across 4 continents. During 2018 he has managed an autonomous drill implementation project at Dawson mine in Central Queensland. He is now leading Anglo American Metallurgical Coal business’ drive into autonomy in surface mines. He currently lives in Brisbane with his wife and 3 children. 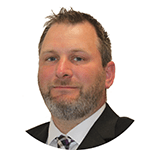 Chris Hambling has over 15 years’ experience as a professional environmental scientist and program manager across a range of disciplines including waste, water quality, environmental permitting and approvals, contaminated land and hydrogeology. He currently is a Program Manager with the Department of Environment and Science, tasked with managing a team of policy specialists, as well as support from Queensland Treasury Corporation and other team members, to deliver the comprehensive new waste strategy for Queensland, along with a range of complementary policy measures. Chris was born and educated in the UK, migrating to Australia in 2012, and has been with the Department since June 2017, previously having worked as a consultant for a number of multi-national engineering consultancies. Nick is Managing Director of Equilibrium, a sustainability consulting and management company servicing a range of private companies and governments around Australia. Equilibrium works across energy, carbon management, resource efficiency and environmental management systems. The company’s work with respect to resource recovery and recycling includes supporting development of a range of new programs and infrastructure across Australia as well as working on product stewardship programs for e- waste, child car safety seats, tyres, mattresses, paint and more. From 2009-2014 Nick was also a director of the Metropolitan Waste Management Group and was the chairman of the stakeholder reference group for the development of the National Television and Computer Recycling Scheme under the Product Stewardship Act. 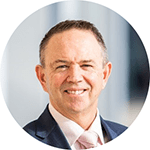 Prior to Equilibrium, Nick was group general manager of environment at packaging and recycling company Visy and has a background in corporate affairs and government. 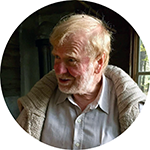 Walter Jehne worked as a research scientist exploring soil-microbial-plant interactions in disease symbiotic and bio-cycling processes and then strategies for the commercialization of innovative solutions and businesses. More recently he was involved in establishing Healthy Soils Australia, an NGO working with innovative farmers in refining and applying bioprocesses for the regeneration of bio-systems and cycles to meet essential, water, food, habitat, health and climate needs and stability. Mark joined Energy Developments in 2002 and is responsible for leading the business development activities for the Clean Energy business. He has 18 years of experience within the Australian energy sector and has developed projects including gas pipelines and processing facilities, critical power infrastructure for mines and remote communities as well as grid connected gas power operations. Mark uses his skills in customer relationships, engineering, commercial and financial analysis to develop fit for purpose projects that meet the customer’s requirements and strategic objective. Simon is considered an emerging thought leader in the waste industry, in particular the role data plays in leading the industry to meet the challenges faced in today’s world and is a regular contributor to legislative reform discussions. Responsible for product strategy, strategic planning, customer relations, business development and government liaison. Simon is particularly passionate about leading meaningful change and the role industry professionals have in delivering an essential service. Simon is the Chief Executive Officer (CEO) of Mandalay Technologies, Chair of Six Pivot and founder of naus Waste Intelligence. He sits on the Waste Management Associate of Australia (WMAA) Queensland State Committee, whilst regularly speaking at overseas, national and state industry events and forums. 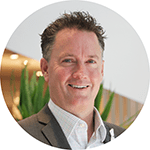 Sean McCormick is the General Manager of Recycling for Alex Fraser, Australian leading provider of sustainable construction material, and the country’s biggest recycler. He oversees the recycling and manufacturing of materials across 5 plants in Victoria and Queesland, processing almost 4 million tonnes of material per annum. After achieving his Bachelor of Business (Marketing, Logistics and Operations Management) from the University of Southern Queensland, Sean started his career in internal sales and business development before moving into operational and senior management roles. He joined Rocla in 2012, where he held a number of senior roles, including National Manager (Poles, Rail & Plastic), National Manufacturing Manager, and Regional Manager Southern (Victoria, Southern NSW, SA & Tas). Sean joined Alex Fraser in 2017. In his short time there he has been instrumental in improving and expanding the companies recycling operations. He is especially focused on tackling the burgeoning environmental issues of waste glass stockpiling and landfill. In 2018, Sean and his team will commission Australia’s most sophisticated glass recycling plant, capable of manufacturing unprecedented volumes of high spec construction sand from glass waste. support on data capture and management. Most recently he has been delivering policy and strategy support projects on the Circular Economy for NSW EPA and Lendlease along with waste procurement related projects in Victoria, and Queensland. Mike has over 27 years of experience in road infrastructure, with expertise in pavement design, pavement rehabilitation, planning, geometric design and drainage. He is currently the Director (Pavements, Research and Innovation) within the Engineering and Technology Branch of the Queensland (State) Department of Transport and Main Roads (TMR). As Director Mike is successfully leading TMR’s central area of expertise in pavements and pavement materials. His team develops and maintains specifications, delivers expert advice, undertakes expert/peer reviews of major/complex projects and develops, assesses and, where appropriate, introduces innovative pavement technologies to TMR. He and his team work collaboratively with industry to do this, and have significant involvement in the TMR/ARRB (NACoE) research program. Mark brings with him over 35 years over of working experience in Australia and overseas (UK and Israel) demonstrating his horticultural knowledge and skills applied to tropical, arid and other climatic conditions. He is the Production Manager of Rocky Point, a national award-winning business in the Nursery & Garden Industry of Australia. His role focuses on designing growing media for a wide variety of species and providing a high-quality green and food organic products to a diverse range of Agricultural farms. His passion for regenerative sustainability and improving soil health was evident though his work done in collaboration with Griffith University and Gold Coast 2018 Commonwealth Games Corporation on ‘Closing the loop through food waste recycling’. Rose thrives on delivering practical sustainability solutions in collaboration with industry, government and the community. 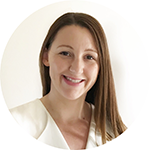 Rose has worked extensively in product stewardship, successfully implementing MobileMuster – Australia’s leading mobile phone recycling program. Prior to this she was General Manager of Clean Up Australia. Mike is a strategic thinker who combines complex technical expertise and sound business acumen. 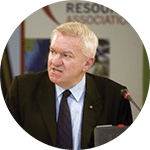 With 25 years’ experience in environmental policy and business development, Mike is currently the Chair of the Carbon Division and AWT Working Group and Director of Environment Business Australia. He has extensive insight into the constraints and opportunities that exist to drive economically sensible environmental reform. 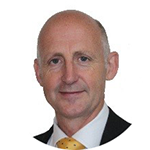 He was a senior executive in the waste industry with 25 years of experience in Visy, SITA and Waste Service NSW. He was also a Director of Liverpool Council and senior adviser to the Mayor of Brisbane. Mike was a Sessional Commissioner of the NSW Land and Environment Court and a member of the Victorian Ministerial Advisory Council on waste governance. Mike was Vice President of the Waste Management Association of Australia and NSW President, currently serving on the WMAA national board. Mike’s goal is to help make waste management economically rational and environmentally sustainable. Tony is responsible for developing strategy, policy and legislation to support the Government’s environment and heritage agenda. Tony leads the department’s strategy on environmental legislation and policy priorities in relation to: climate, water quality, waste, coastal management, planning and development, heritage, air and chemicals, state of the environment reporting, environment protection and reef policy. Tony supports the Minister and Director-General in representing Queensland’s environment and heritage interests at the national level. Gayle worked as a Director in a number of NSW councils, primarily looking after service delivery and assets. She delivered a number of waste management contracts on behalf of councils, as well as managing environment and regulatory departments, including rangers and compliance officers. 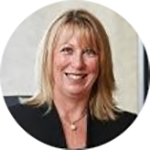 Gayle was with VISY before joining WMAA as Chief Executive Officer in November 2015. 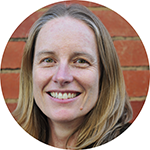 Gillian is Victoria’s Commissioner for Environmental Sustainability, a member of the Victorian Economic Development Investment Committee and has board roles across the water, economic and emergency management portfolios. Gillian has unique experience working in industry and government – State and Federal – and with community and has had a range of leadership positions in organisations including BHP Steel (now BlueScope), Cleanaway, EPA Victoria and the Australian Government Clean Energy Innovation. Gillian was Deputy Secretary of the Victorian Department of Sustainability and Environment and Chair of Sustainability Victoria. Her core expertise is leading organisations through transformation and policy reform in complex stakeholder environments. As Chair of Sustainability Victoria, Gillian lead the strategic, governance and organisational transformation of Sustainability Victoria from 2011-14 which included a refocus on waste industry policy, governance and planning in Victoria. As Commissioner, Gillian is leading reforms that encourage better community participation in the science of the environment and advocating the need for government to better invest in and apply environmental economic accounting, data analytics and citizen science to deal with environmental challenges. 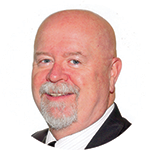 Greg Stephenson has 35 years’ experience working for local government authorities, federal government and consulting engineers in the road and airport construction and maintenance areas. Before joining BCC, he spent 5 years at Queensland University of Technology where he undertook research into Asphalt Mixtures. He commenced with BCC in 2004 as a Pavement Design Engineer before moving to the Asset Management Branch around 12 years ago. He coordinates the Asphalt Innovations Committee to foster research and development activities for asphalt and pavement materials within Council. 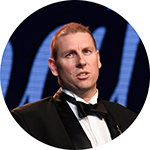 Greg is a member of the Technology & Leadership Working Group of the Queensland Branch of Australian Asphalt Pavement Association. He is a Member of Engineers Australia, Chartered Professional Engineer and Registered Professional Engineer, Queensland. Barry was named as one of the “50 Ultimate Green Leaders (Globally)” by the Corporate Social Responsibility Group of the United Nations for 2018 and is the Chairman of the Australian Waste to Energy Forum. Lesley Van Staveren was born in London and emigrated to Australia in 2007. She has been married 8 years and has 3 young children with her husband Colin. She and Colin are co-owner’s of FNQ Plastics, the largest plastics fabrication business in FNQ and are working to prove feasibility of a plastics recycling facility in regional queensland. 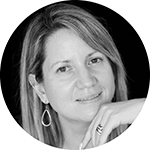 She won Australian Institute of Management Owner/Entrepreneur of the year in 2016, Cairns Business Women of the Year in 2017 and is president of the Committee For Waste Reduction. Her vision is to educate the wider business community on the value of better environmental practices in their core strategies and to give people a voice and a way to make a difference. Fiona was born into the waste and recycling industry, starting life as her dad’s “copper rat” salvaging the valuable metal from his demolition sites around Newcastle, NSW in the 1980s. A production engineer by trade Fiona has run her own businesses for 25 years driving productivity for corporates and family companies in mining, agribusiness and manufacturing. She founded biogas developer Utilitas Group in 2010. Utilitas is on a mission to unleash the power of biogas to fuel industry, support networks and energise communities by delivering 100MWe of dispatchable, reliable, local electricity and other bioproducts from 100 bioHubs in 100 regional communities by 2025. 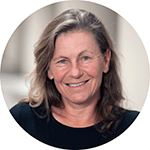 Fiona is also non-executive director on the Board of Unitywater where she Chairs the Sustainability and Innovation Committee. She has a degree in Manufacturing Management from University of Technology, Sydney and post graduate qualifications in environmental studies from Macquarie University and business and public policy from Queensland University of Technology. 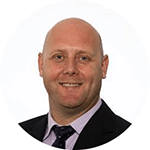 David has over 15 years’ experience in the waste sector and over 25 years’ experience within mechanical and civil engineering and project management in the UK and internationally. He has led and managed teams to deliver the most complex and challenging of waste infrastructure projects, including gasification technology and large and complex material sorting facilities with capital values of more than £100m. His previous positions have allowed him to understand the key financial drivers for developers and investors, along with the commercial tensions that affect EPC contractors and the supply chain. His knowledge and experience of due diligence and infrastructure delivery can be best placed to help both those within the waste sector and those who may be seeking to enter for the first time.